Known for their hospitality, the Maltese are a truly welcoming and friendly bunch! You’ll often find that if you’re looking a little lost, a smiling face is there to offer a helping hand before you even have to ask. Directions, restaurant recommendations, top sight tips – they’re genuinely happy to help you make the most of your time on their wonderful home. So it’s no surprise that Malta has built a stellar reputation as a top LGBT friendly destination. Accepting and forward thinking, this Mediterranean island is home to fantastic gay rights! 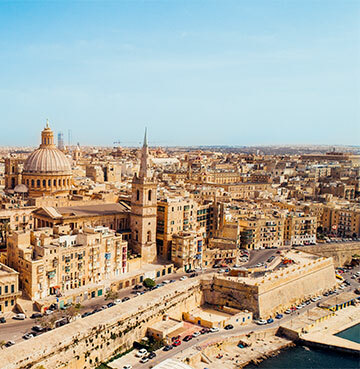 With its intriguing history and stunning natural beauty, gay friendly Malta is ideal for your next LGBT villa holiday. If you’re a holiday party lover, hearing that there’s not too many gay bars in Malta won’t be music to your ears. You didn’t pack those dancing shoes for nothing! Fear not, the lack of designated gay bars is actually a good thing. A testament to how welcoming and accepting the Maltese are. You should receive a warm welcome in every bar and club, so just grab a drink and get ready for some fun! It might be a small island, but Malta definitely knows how to party. With the local pronunciation, its nightlife capital of Paceville even sounds like ‘Partyville’. Where better to let your hair down? Head to the right bar and it might even be a case of putting your hair up or popping on your best wig! Klozet Club’s regular drag shows are flamboyant fun you won’t want to miss. Michelangelo Club Lounge is a little more laid-back and a stylish spot for refreshing cocktails. You’ll find LGBT bars outside of Paceville too, perfect for when you’re cruising around the island. Overlooking the sea, Monaliza’s terrace is ideal for views of Valletta and Sliema. And the fun never stops at Rabat’s Birdcage Lounge! Cabaret, live music and karaoke, all washed down with delicious cocktails – these are nights to remember. Your dancing shoes shouldn’t be reserved for your nights on the town! The street party and carnival vibes of Malta Pride are ideal for a boogie. In fact with talented DJs and musical performances even reluctant dancers might find themselves tapping their toes and moving their feet. 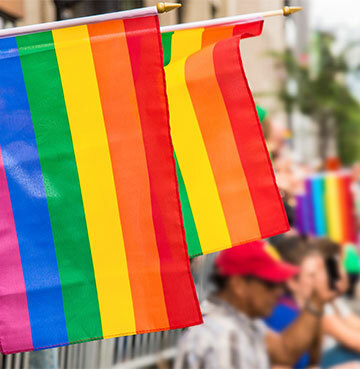 The parade is the pièce de résistance, drawing thousands onto the streets to celebrate with the LGBT community. 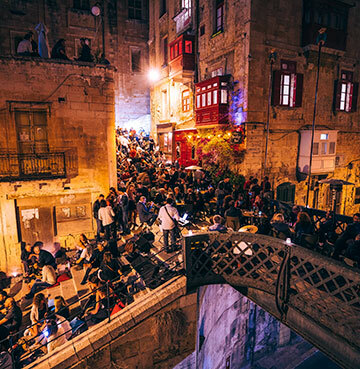 And you’ll just love celebrating here (remember Malta is an island that knows how to party). Floats, drag queens, open top buses – they all slide through the streets adding a splash of colour every time you see them. With so much fun packed into one day, you might be wondering how it could get any better? Malta Pride is actually a week-long celebration and there’s so much for you to get involved in! Enjoy one of the club nights, get competitive in a football tournament or put on a performance at a karaoke event. The tough decision is picking which song to sing! You’ll want to put on a performance fitting for the extravagant parade. Expect to have plenty of fun whatever you choose to do. You’re never far away from an amazing sight in Malta. This Mediterranean gem is blessed with some stunning attractions and you can drive from tip to tip in under an hour – the whole island is yours to discover! They even drive on the left hand side of the road. Although we did already mention that the locals were very accommodating. Golden beaches are dotted along the rocky coastline, perfect for sunbathing and thrill seeking. The Blue Grotto is a must-see, with the waters sitting under its limestone arch glistening in their own Maltese shade. Even the most avid history lovers will find that there’s a lot on these shores. From ancient temples to former capitals and a successor that has an amazing story during its own reign - this is your enlightening cultural expedition. Head over to Gozo and you’ll find that the people are just as warm. With temples of its own, quaint towns and rural charm, you might even choose a villa here! After all it’s just a simple ferry between these two beautiful islands. And there’s Comino, smaller than its neighbours but with just as much charm. You’ll be mesmerised by its Blue Lagoon, where you’ll never want that swim to end. You'll get a warm welcome in plenty more destinations! How about the inviting island of Gran Canaria? Or coastal delight Sitges, in touching distance of Barcelona?